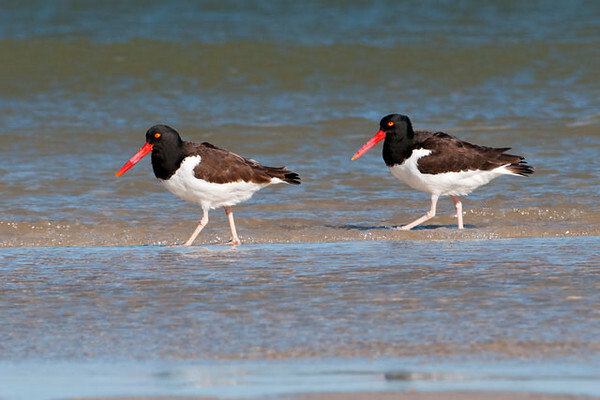 This is a pair of American Oystercatchers. They were walking along the beach at St. George Island State Park in Florida. Their bill is very thin and knife-like. It comes in handy when an Oystercatcher finds an oyster or mussel that has opened its shell, even slightly. The bill is forced into the shell, cutting the muscle that holds the two halves of the shell together. This gives the bird a meal of fresh oyster on the half shell. Oystercatchers are fairly large (18-20”). 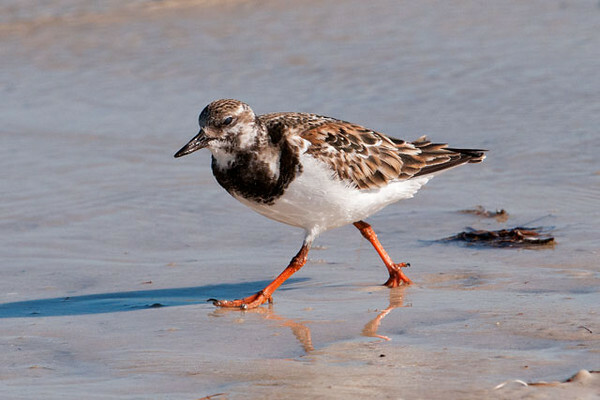 This Ruddy Turnstone was also along the St. George Island SP shoreline. It is much smaller than the Oystercatchers, only 9-10”. This appears to be a female already in breeding plumage. The male has even brighter reddish feathers on his back, which explains the “ruddy” part of its name. The other part of the name comes from a habit of turning over shoreline debris to look for food. 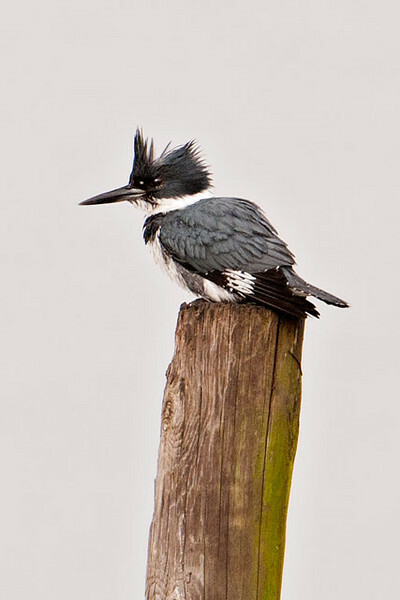 I found this Belted Kingfisher fishing along the Apalachicola bay. This is a male; a female would have a reddish band across the chest and reddish flanks. Kingfishers are one of the few bird species in which the female is more colorful than the male. Another interesting fact about Kingfishers is that they build their nest in a dirt bank, often along a river or stream. They dig a 3-6 foot long tunnel which usually slopes up from the entrance. 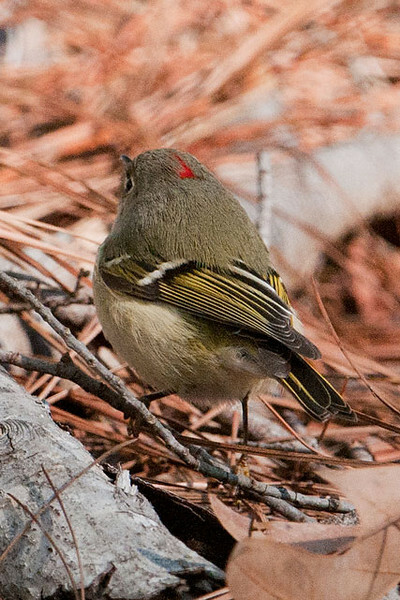 Ruby-crowned Kinglets are one of our smallest birds: just 4.25” long. Only the male has red feathers on his head and they are usually not visible. When he gets excited, (usually by a potential mate, a rival, or a predator) he raises his ruby crown. I took this photo at the Tall Timbers Research Station in Tallahassee, Florida, and was able to catch at least a glimpse of the red feathers. One morning I was driving along the Apalachicola Bay just as the sun was coming up over the horizon. 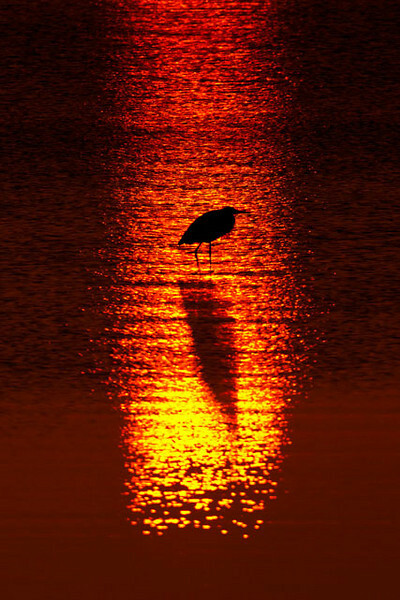 I came across this Great Blue Heron perfectly framed in the reflection of the sun.